“My husband and I have struggled with infertility since we were married 6 years ago. We had a miscarriage a little over a year ago and it was reading the scriptures that kept me strong as I felt the Lord directing our lives and giving us comfort and strength and guidance during such a hard trial. I hold on to those personal whisperings of the Spirit ever so close to my heart. “With this challenge I went to God in faith asking for the greatest desire of my heart, to be a mother, knowing that in the end, I trusted His timing and will for us no matter what. But I also very strongly believed and felt that I needed to ask in faith, not wavering but being believing. I felt as though all I could offer and give to Him would fall short, but nevertheless my heart was all in. I trusted and truly believed that the Lord would answer my prayers if I tried my best, even if I’ll always fall short. 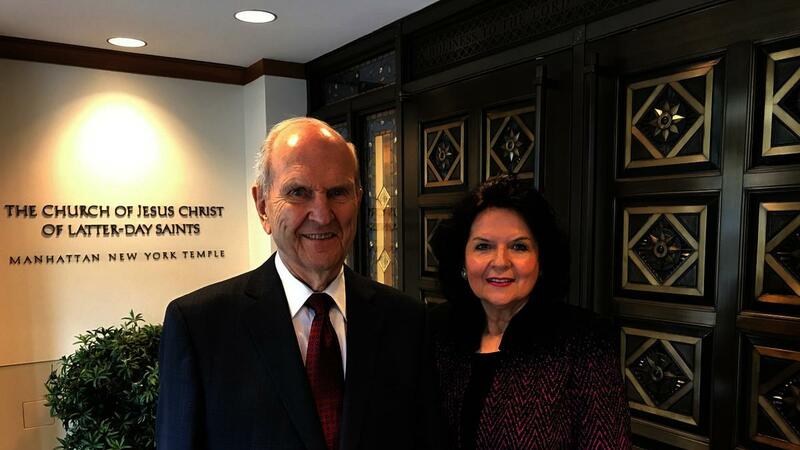 “My 9-year-old daughter and I read the Book of Mormon together. It was a struggle since her reading ability caused us to move at a painfully slow rate. Her 7-year-old sister decided to join in, making the process even slower as we took turns reading. After weeks of reading, they both improved and things began to go smoother. I mentioned to my girls that their reading had improved dramatically. My oldest quickly pointed out that it was a blessing from following the prophet and reading the Book of Mormon.